I am off lingonberries for the time being and Volvos and flat white furniture from Ikea. No meatballs, thank you. Once again the humorless Swedes have chosen a writer of migraines for the Nobel Prize in literature, an author of twilight meditations on time and memory and mortality and cold toast by loners looking at bad wallpaper. It’s not a prize for literature, it’s a prize for nihilism. The Swedes said he’s like Jane Austen combined with Kafka with some of Proust, three other writers you’d never invite to a party. Well, at least they didn’t give it to Joni Mitchell. That Swedes give out the Nobel is like the Swiss deciding the Cy Young Award. We’re talking tone-deaf, people. The words “Swedish” and “comedy” seldom appear in the same sentence except as a joke. All the Swedes with a sense of humor came to America and so what the Nobel judges recognize is bleak, cramped, emotionally stunted, enigmatic, pretentious. Millions of people around the world understand the concept of reading books for pleasure but the Swedes think of it as a form of colonoscopy. If they gave a Nobel Prize for food, they’d give it to quinoa. Of course all the book critics applauded the choice of Kazuo Ishiguro: Praising the dull and deadly is a time-tested way to demonstrate intellectual superiority. It’s like taking a ski vacation in North Dakota: It sets you apart from the crowd. And comedy is so utterly adolescent. Meanwhile, it is a beautiful October day and I’m sitting in the kitchen, enjoying a hearty licorice tea and looking at my lovely wife. I don’t recall anyone doing anything like that in Mr. Ishiguro’s books. As the Nobel committee said, he “has uncovered the abyss beneath our illusory sense of connection with the world.” Beauty is an illusion, as are licorice tea and marriage and, of course, the kitchen, which sits on the edge of a cliff looking down at nothingness 100 miles deep. The man who should’ve won the prize goes by the name Philip Roth and what disqualifies him are the many rich descriptive passages revealing a love of the physical world and the elements of storytelling such as conversation, some of which is, since the speakers are American, way too funny, way too connected to the world. Poor Ishiguro. A week ago he was a writer struggling to put himself on paper and now he’s become a granite statue in the park, pigeons sitting on his shoulders. Write something funny, Ish. Astonish us. Go to the Nobel banquet in Stockholm in December and sit down on the balloon. 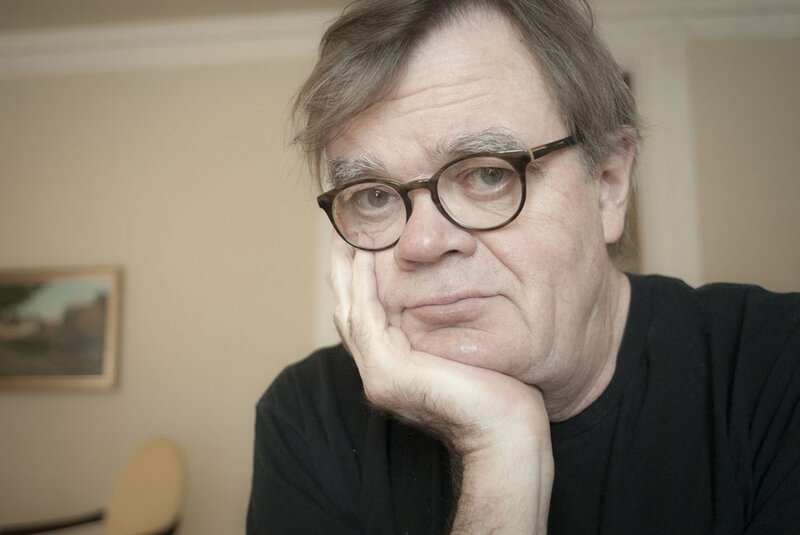 Garrison Keillor is an author and radio humorist whose Post columns began in 2016, after he left his radio show, “A Prairie Home Companion”. The column, he says, aims to be “funny, cheerful, firmly set in the present, written in American.” He lives in St. Paul, Minnesota.